TAGUIG--If you're looking for more madness or you just want to avenge your busted March Madness bracket, here's an opportunity for you to do so. The NBA launched the NBA Playoffs Bracket Challenge in line with the start of the postseason on Sunday (Philippine Time). A selected group of reporters went to the NBA Philippines office here to get a first-hand look at the said game. Players can register online at nba.com/playoffs/bracketchallenge/intl. Once the registration process is done, you can now set your playoff predictions. 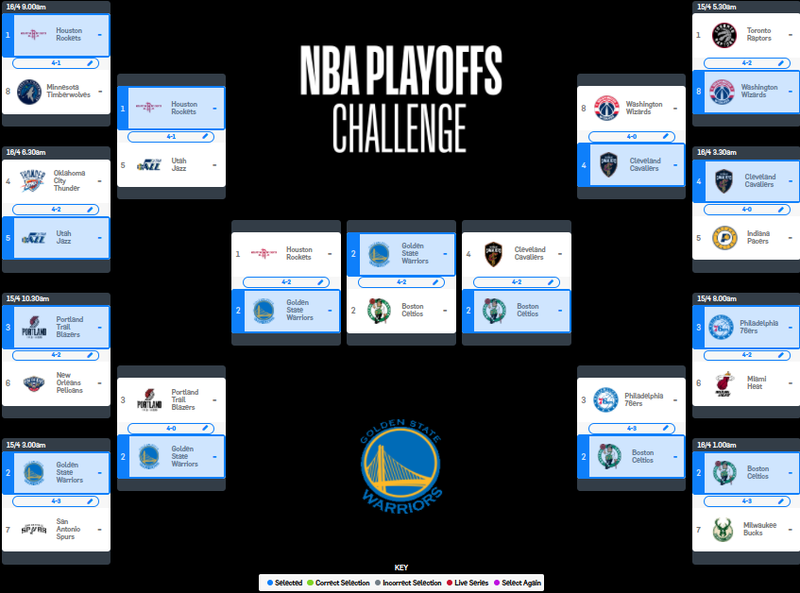 Unlike the March Madness bracket challenges, where you just need to write down the winners for the games from the first round till the final, in the NBA Playoffs Bracket Challenge, you also need to predict how long each series will last. Another thing that distinguishes the NBA bracket challenge from that of the US NCAA is that unlike in the latter in which one wrong guess will totally end your bracket challenge stint, you have a chance to bounce back from a busted bracket as you can revise your predictions after each round. Once your brackets are done, you will be automatically a part of the official NBA Playoffs Bracket Challenge Philippine league. However, you can opt to create a separate league with your friends or join other bracket leagues. The brackets for the first round will be locked in by 3 a.m. of Sunday, the start of the NBA Playoffs, and revisions for the quarterfinals can be made once all the Sweet 16 series are done.